Who says everyone's moving out of Connecticut? HPFY is not! BROOKFIELD, Conn., Feb. 1, 2019 /PRNewswire/ -- For good reason there's a lot of talk about companies moving out of Connecticut. The Nutmeg State recently said goodbye to General Electric and is due to say goodbye to Diageo's North American headquarters this year. Let's take a moment to note some growth and movement within the state. Health Products For You (HPFY) is a home grown company that made Inc 5000's list of fastest growing companies last year. 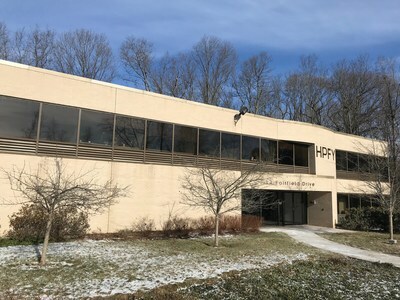 HPFY recently grew out of their small (2,500 square foot) office space in Danbury CT and moved right into a much larger space (nearly 13,000 square feet) in Brookfield, CT.
HPFY was started where all the best companies are - in a basement! The power couple that started HPFY had just the right mix of nowledge and entrepreneurial spirit to start and grow this successful company. Naheed and Masarrat Quaisar, with backgrounds in the health industry, marketing and computer science, have quietly worked away building their business for the last 16 years. They continue their pioneering attitude with their latest move; they have purchased a building that they can grow into, but in the meantime their plan is to rent some of the space through LiquidSpace. LiquidSpace is a rentable flexible working space, the airbnb of office spaces. HPFY is an ecommerce retailer for healthcare and healthy living. Their mission is to make a healthy lifestyle affordable to all. HPFY has a total of eleven websites. Their flagship website Health Products For You offers products in 50 different product categories. The other 10 websites are boutique sites that cater to niche needs like women's health and wellness. The other websites' focuses include incontinence, ostomy, rehab, mobility, respiratory, wound care and more. As they grow HPFY has made the news with how seriously they take their Corporate Social Responsibility (CSR). HPFY will celebrate two years of a monthly Giving Day started by CEO Naheed Quaisar. Through their Giving Day initiative HPFY had donated almost $50k by the end of 2018. Starting 2019 off with a bang they donated over $5k to Challenge Aspen, in January.